Christmas can be a wonderful time of year, all that yummy food and drink, and if we're lucky the company of people we love. But as we close the Pilates studios for our Christmas break, it is worth thinking about how to keep your body happy through the festive season. Just think ... all those long meals sitting at the dining table, wearing your high heels at parties, and bending over the kitchen sink. It all adds up to potential back aches, joint pain, and losing the progress you have worked so hard for all year. So we have come up with 5 easy-peasy tips to incorporate your Pilates into your Christmas festivities to keep your body happy and ready to start 2017 raring to go! And don't worry, we're not talking about teaching Gran how to do a shoulder bridge or leading an impromptu Pilates class in the living room! So, you've been sitting at the table or on the sofa for too many hours and your back is beginning to ache. What should you do? Start by making sure you are sitting upright and use a firm cushion to add some lumbar support. Gently press your lower back into that support, then release. Repeat 5 times. 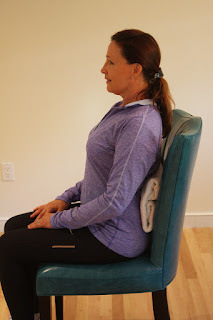 Use a lumbar support to ease backache. 2. 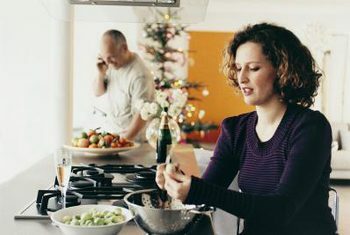 In the kitchen: "Active abs"
When you're standing at the sink or work surface preparing festive food, think about how you are standing. Start by checking that your knees are slightly bent. Then pull in your stomach muscles slightly to support your lower back. Try it - it really does reduce low back pain! There is so much to do and so little time and the stress is building. 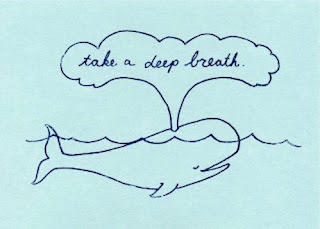 STOP and breathe. Pause and focus on your breathing. Breathe in through your nose for 4 counts and out through your mouth for 4 counts. Repeat 5 times. 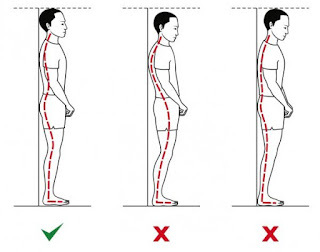 If your neck and shoulders are beginning to ache, stand against a wall and place your shoulders and the back of your head against the wall. This will help to re-align your upper back, neck, and shoulders. Then stretch one arm straight up above your head, keeping the elbow straight. Try to touch the wall above your head - can you reach it? Repeat with the other arm. 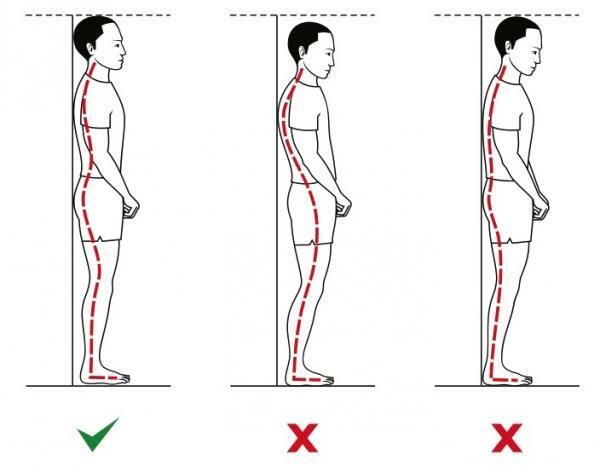 Stand against the wall to correct your posture. 5. Pick-me-up: The best Pilates stretch ever! This stretch will leave you feeling great. Stand with your feet hip-width apart. Raise your arms above your head and clasp your hands together. Reach gently over to one side, then return to the centre and repeat to the other side. Next, let your arms hang down from your shoulders, and roll gently forwards towards your feet. Pull your stomach muscles in as you roll down, and then use them to roll back up again. Do this 3 times. Roll down and roll back up again. Enjoy your Pilates over the festive period and don’t forget to take time out for yourself!